These over-ear Bluetooth headphones are 60% off, save big! 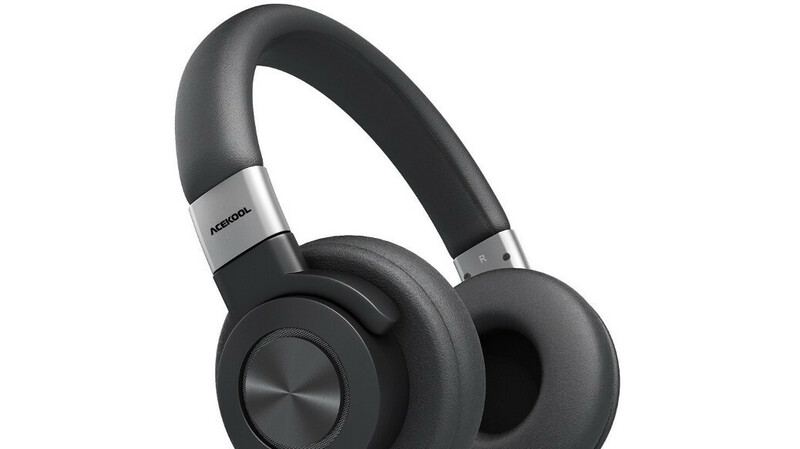 Looking for a nice new set of wireless headphones? If so, we might have found a great deal for you! The Acekool BT015 over-ear headphones are currently enjoying a huge discount at Amazon. To grab a pair at 60% off, make sure to enter the code QAUHBQ6Y at checkout before January 15. This model features a CSR chip and dual 40mm drivers that offer Hi-Fi stereo with a 3D sense of space. The units sold are advertised as lasting 45-50 hours between charges thanks to the 1,050mAh polymer battery inside. A 10-minute charge can get you up to 7 hours of playback time, while the battery can be topped up in about 2.5 hours. Bluetooth 4.1 is on board, meaning that you can connect to devices within 33 feet. The design of the BT015 is both trendy and comfortable. The breathable earmuffs have a diameter of 3.5in/90mm, with the soft parts being made of a "Memory-Protein" skin that is highly elastic. A 12-month warranty is also on board. If this deal interests you, the "Buy now" button above will lead you to Amazon. Keep in mind that the offer expires in 5 days, so it's advisable to act fast. Will probably hurt your ears like all the other cheap hp.